You've booked your wedding venue, chosen your color scheme, and picked out your centerpieces and floral arrangements. The look and feel of your reception is coming together – but have you considered wedding lighting? Good lighting is the difference between an ordinary ballroom and your wedding reception. 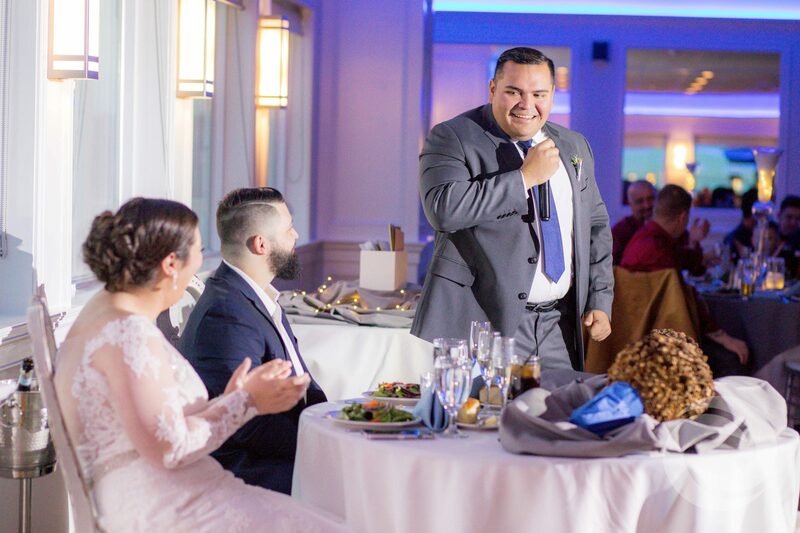 With uplighting to match your colors, spotlighting for your introductions and first dance, and customized visual displays, your venue will be elevated and transformed into a unique space designed just for you and your guests. 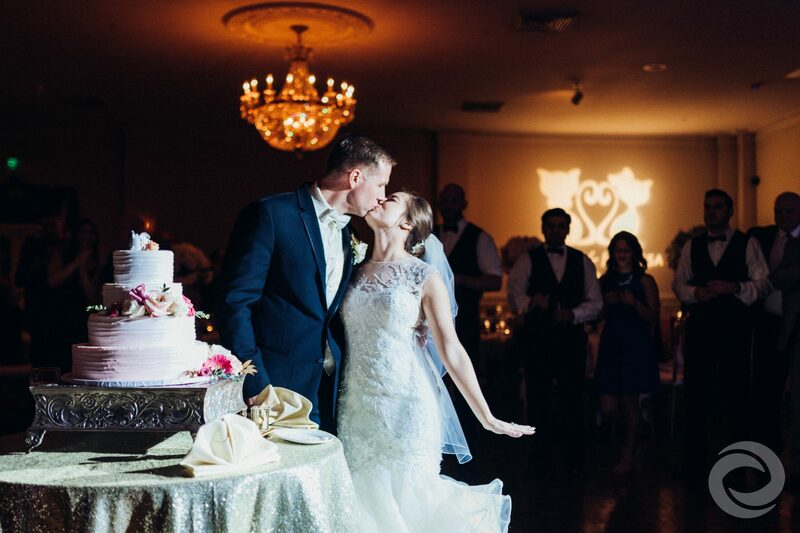 A lot of couples overlook wedding lighting when they're planning their big day, but you don't want to skip this important element of your reception. 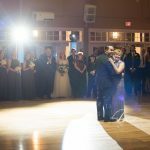 Here's why you should ask your venue and entertainment team about lighting options for your wedding. What kind of emotions do you want to evoke on your wedding day? Romance? Fun? Playfulness? Excitement? Intimacy? This is where well-placed uplighting and spotlighting come in. Uplighting typically involves soft white or colored lighting to change the style of the room and set the tone for your wedding. For evening celebrations, it helps your guests transition from the brighter lights of the venue's lobby into the more romantic, intimate space that is your reception. For daytime receptions, uplighting can enhance or replace any natural daylight that may be coming into the ballroom. 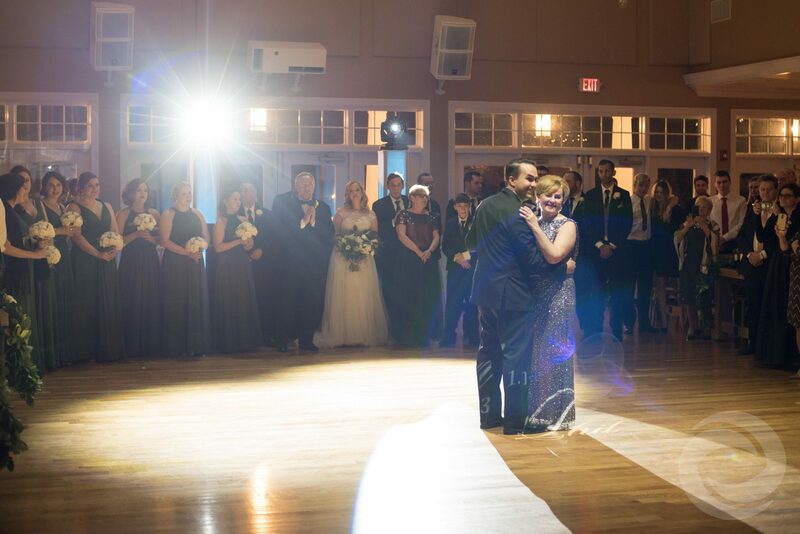 Spotlighting can help keep your guests focused on the most important moments and elements of your reception. 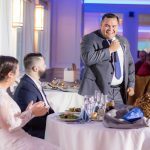 For instance, spotlights during your grand entrance, special dances, toasts, and cake-cutting will draw guests' eyes to the right place, while strategically placed lights can showcase your floral arrangements, wedding cake, and other décor elements. Intelligent spotlights, which can be programmed to move and adjust, can help create a club-like or "party" atmosphere when guests are out on the dance floor, too. When you meet with your venue's event coordinator, you'll want to ask about the ballroom's existing lighting options (dimmers, zones, etc.) and where your focal points (head table, dance floor, cake table, food stations, etc.) will be placed during the reception. This will help your wedding lighting designer figure out the right strategy for uplighting and spotlight placement. You probably already know that photography and videography turn out best when you have the right lighting. Spotlighting and uplighting in your venue can greatly enhance your reception photos and video footage. 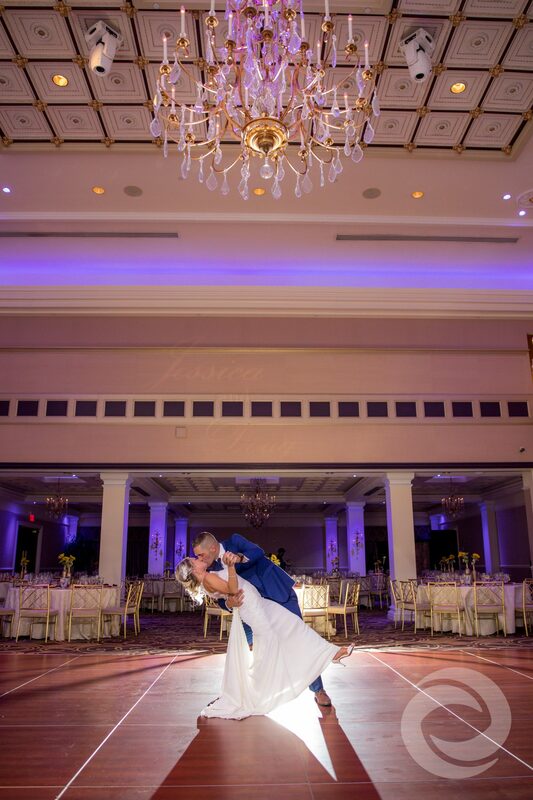 Your first dance will look magical and ethereal with a spotlight shining on you. The colors of your decorations will pop in photos. 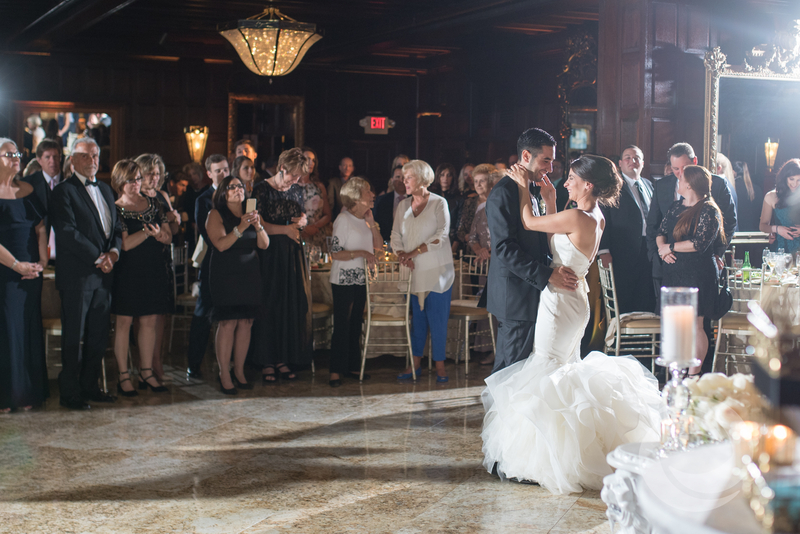 Every detail and special moment will simply look better on camera when the room has well-designed lighting. Our lighting designers will control an intelligent spotlighting system at your reception. It's perfect for introductions and toasts, and can double as lighting for your dance floor. This option is available as a free upgrade to our Request Entertainment Package, and comes standard with our Spotlight Entertainment Package. 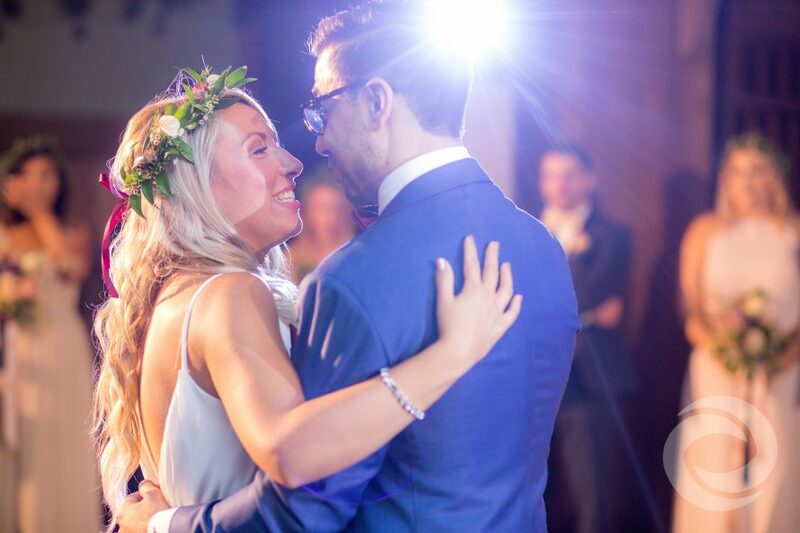 Our battery-powered, wireless uplighting can be placed anywhere in your reception venue. 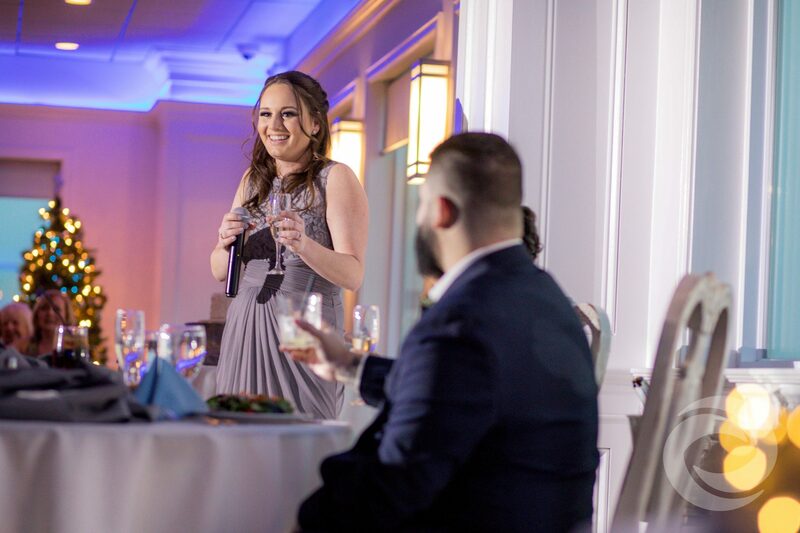 One of our lighting designers will fully customize the lighting in the color and style of your choice, ensuring that your lighting matches the overall décor and ambiance of your wedding. Uplighting design is available as an upgrade to any of our wedding packages. These wedding day upgrades add another touch of personalization to your wedding reception. 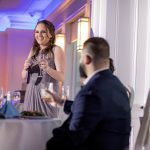 With our Visuals Package, our team will create a custom monogram animation, photo montage presentation, and social media streaming of your wedding hashtag, all displayed on two LED screens. Our Name-in-Lights option lets you display a highly detailed, customized design directly on the walls of your venue. Want to kick off your reception in a spectacular and memorable way? We can create a custom projection mapping display synced with the music of your choice for your grand entrance into the ballroom. No matter what kind of atmosphere you want to create at your reception, well-designed lighting can help you achieve it. Talk to us about your wedding day vision, and we'll help you turn it into a reality. 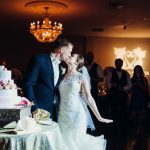 Ready to book media and entertainment services for your wedding day? Visit our pricing page or request a quote for more details.